While most people understand the causes of cardiovascular disease, few know anything about fatty liver and how it can lead to adverse health outcomes or — in its most severe stage — death. The Women’s Heart Alliance (WHA) works to raise awareness, encourage action and drive new research to fight women’s heart disease. We want every woman to rally together to fight the Ladykiller. While men are more likely to be diagnosed with heart disease, according to the American Heart Association, women still made up slightly more than half of all its fatalities in 2011, the most recent year for which data was available. Statin side effects can be uncomfortable, making it seem like the risks outweigh the benefits of these powerful cholesterol-lowering medications. New cholesterol drugs could add $120 billion to annual U.S. health costs. 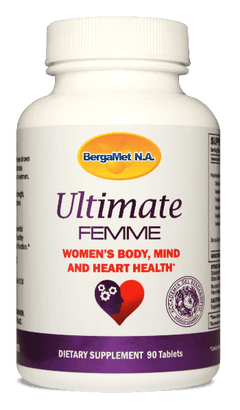 BergaMet claims to be the only product that addresses all the problems of metabolic syndrome. In terms of what I consider to be the good supplements that genuinely help, firstly we need to recognize them as being supplements to good health — people still need to practice the keys to healthy living. Dr Ross Walker discusses the numerous benefits of BergaMet and how it can improve your cardiovascular health. Dr Ross Walker joins Dr Drew and Bob Forrest on This Life Podcast and explains the benefits of BergaMet.